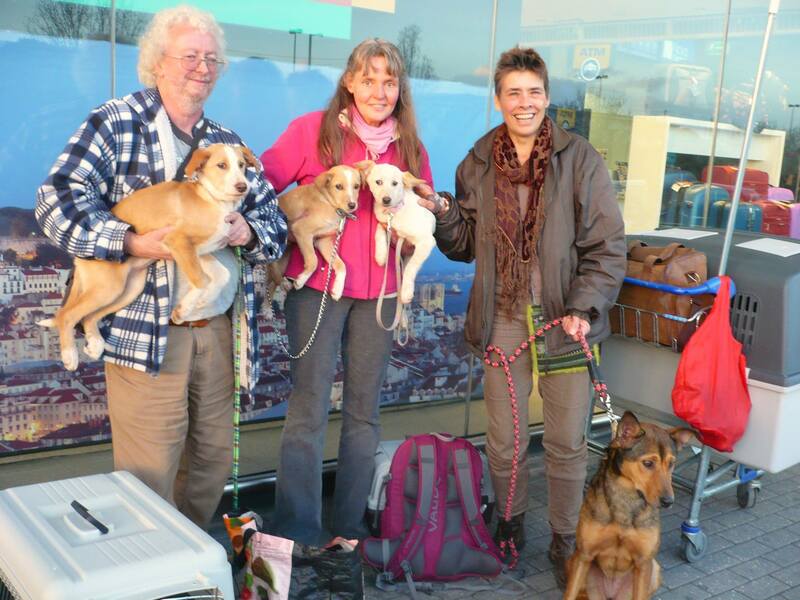 We have an increasing number of dogs being adopted to other countries, in particular Belgium and the Netherlands. We need to fly them to their new homes but of course they can’t travel on their own – they need a flight companion! Very little for you, just a little bit of your time! You need to make your booking available for us to reserve space for the dog’s transport box on the plane. Our volunteers will get the dogs to the airport and will help check the dog in with you – you need to be present to sign the paperwork. The dog is then taken to the special baggage area in its transport box. At the other end, you will need to collect the dog from the special baggage area and wheel it through to arrivals where you will be met, either by the adoptants themselves or one of our representatives. That’s it! All the costs relating to the transport of the dog will be met by us. Please get in touch as soon as you know the date of your flight – we may already have a dog who has already been adopted and is waiting for a flight, or we may be able to arrange an adoption in time. Either way, you will make a dog and its new family very, very happy!